While thinking about the different inequality disparities that exist, we started to look at the different type of challenges that low-income individuals face. This is when we saw that there is a void of proper education of investments and different types of low risk choices that thee individuals may have. 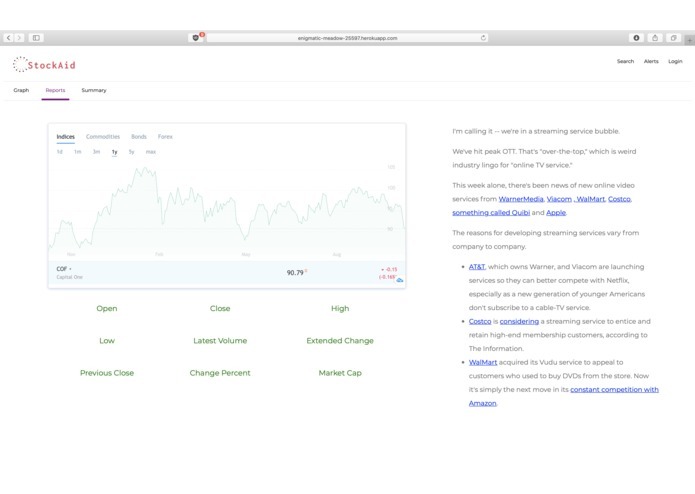 Educates and displays the different opportunities that people can act upon in relation to the stock market and different investment choices. 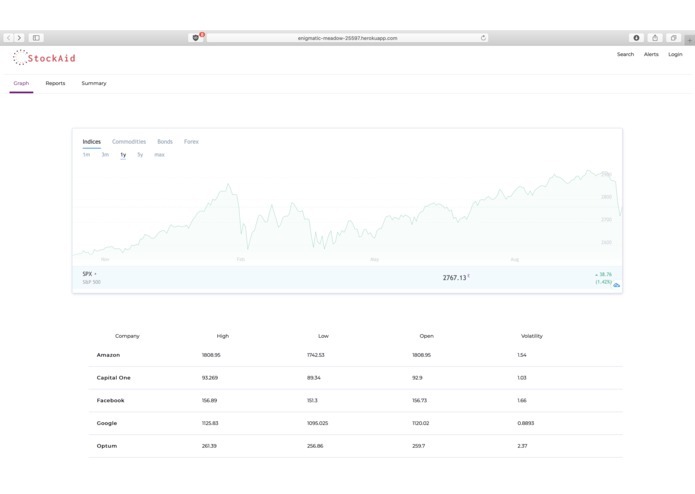 We built web applications using a few different API's and different calculations of risk which helped us create an environment that fostered learning and enabled individuals to safely invest their money. Trying to create a login page and trying to use API's when appropriate. A great looking GUI that actually displays useful information. How to utilize numerous API's and when it is appropriate to do so. We also learnt how different languages and technologies interacted and worked together. A more comprehensive page that also allowed users a portal to finish their purchase choice and thus becoming a full fledged service.